The ultimate balance of performance and value for your pet’s play area. Breeder’s Choice features a soft feel and a natural, lifelike appearance. The thatched construction saves cost on infill and provides superior durability. Save money without sacrificing the features of more expensive turf products. 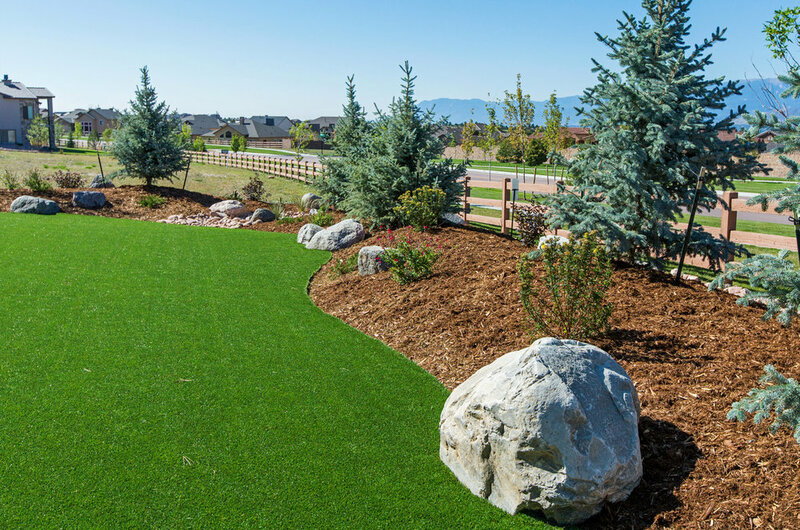 Our products feature a permeable, non absorbent backing, that helps them drain much faster than natural grass. This allows your pet’s play area to dissipate moisture quickly – helping to avoid odor and bacteria buildup. Our designers will work to create the perfect drainage solution for your property. We proudly feature the best infill products in the industry. Our infill solutions will help your turf stand taller, smell fresher and feel cooler. Our products aid in efficient drainage and capture ammonia, the odor-causing chemical found in pet urine – helping keep your space odor and germ-free. Contact us today, and see how we can create the ultimate play space for your pet.